Friendship. Simplicity. Love. Value. Faith. Solitude. Money. Fear. Hope. Purpose. 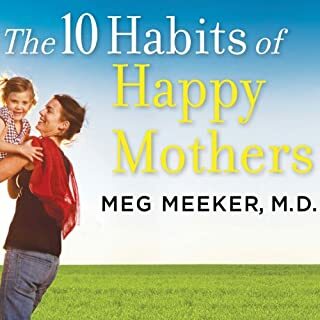 Dr. Meg Meeker has seen mothers struggle with these 10 issues for the past 25 years, and she has also learned how to help them live less stressful, happier, more fulfilling lives. The Ten Habits of Happy Mothers will show women how to reduce loneliness, anxiety, depression, and low self-esteem by inspiring women to embrace more positive emotions and habits. What are little boys made of? It used to be frogs, snails, and puppy dog tails, but today it is MTV, ADD, and STDs. So how do parents raise their sons to be respectful and responsible young men in a toxic culture that relentlessly undermines masculine virtues such as moral strength, self-restraint, and respect for women? By letting boys be boys. Playing off the themes in the Caldecott Medal-winning children's book Where the Wild Things Are, this informative, practical, and encouraging guide will help parents guide boys down the path to healthy and authentic manhood. 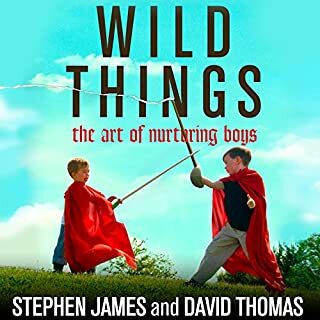 Wild Things addresses the physical, emotional, and spiritual parts of a boy, written by two therapists who are currently engaged in clinical work with boys and their parents and who are also fathers raising five sons. Love is important, but it is respect that is the key to your son's heart. The idea of moms respecting their sons may sound alien to some, but it seems to ignite curiosity across the board. It is easy to relate to the need for all of us to feel a mother's love, but is that the same thing as respect? Even for young boys, the effect of respect is nothing short of astounding when applied properly. We live in a culture that hails motherhood as a woman's crowning achievement yet defines men first and foremost by their professional accomplishments, treating fatherhood as almost incidental - a bonus. 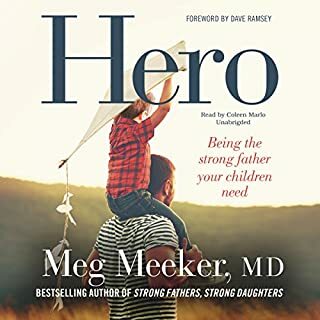 But from her years spent as a pediatrician listening to children's needs and fears, Dr. Meeker understands just how crucial a father's role is. 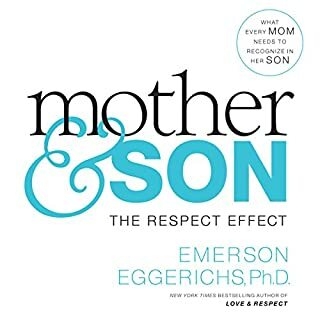 Through compelling true stories and solid principles, this book offers a blueprint for what sons need from their moms to become healthy, caring, confident young men. 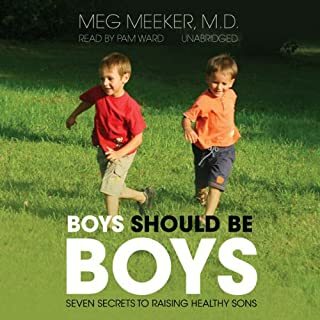 With specific advice for boys' different ages, moms will learn the balance between controlling and letting go, how to cultivate their sons' unique masculinity, how to encourage a lasting relationship with God, and much more. Good Book. Poor choice for narration. On the surface, capable teenage boys may look lazy. But dig a little deeper, writes child psychologist Adam Price in He's Not Lazy, and you'll often find conflicted boys who want to do well in middle and high school but are afraid to fail and so do not try. This audiobook can help you become an ally with your son as he discovers greater self-confidence and accepts responsibility for his future. A must read if you have a child with ADHD! Perhaps there has never been a more challenging time to raise children than in today's culture. Parents are having to address challenges that their parents never had to with them. And while the core elements to raising children are the same, parents need wisdom for applying them to this day and age. That's what this book is about: navigating the times and raising a generation of men on godly principles - sons who are ready, able, and motivated to represent God during their days of sojourning on this earth. Over the last years, there has been a lot of confusion about the role of boys and men in our society. It's easy to see why parents are left with lots of unanswered questions when they're raising their sons. Raising boys the right way through positive parenting can help them become responsible and balanced teenagers and adults. Based on extensive research, and handled with Dr. Dobson's trademark down-to-earth approach, Bringing Up Girls will equip parents like you to face the challenges of raising your daughters to become healthy, happy, and successful women who overcome challenges specific to girls and women today and who ultimately excel in life. From the moment a mother holds her newborn son, his eyes tell her that she is his world. But often, as he grows up, the boy who needs her simultaneously pushes her away. 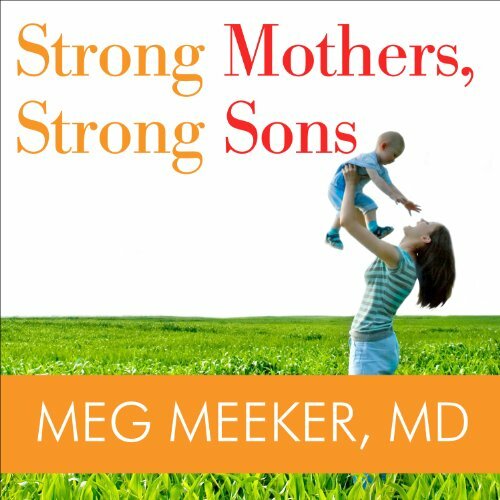 Calling upon thirty years of experience as a pediatrician, Meg Meeker, MD, a highly sought-after national speaker, assistant professor of clinical medicine, and mother of four, shares the secrets that every mother needs to know in order to strengthen-or rebuild-her relationship with her son. If only I had this in 2006!! This book is a great resource for a "mom's life tool box." Although my son is 18 as I read this book, I still felt that the content gave me useful insight and an understanding of what boys need from their moms. Dr. Meekers has an engaging style of writing, it isn't at all over our heads nor is it "clinical" in its approach. While I am not overly enthusiastic about the narrator for the audible presentation, it is more than adequate. I was especially helped by Dr. Meekers explanation of the importance that the affirmation of other men has in the lives of our boys. I believe that no singular man is going to provide everything for (even with a great dad) our boys. The more good men our boys have in their lives the better they will be. Of course the section on letting go was especially relevant as I approach my son's graduation and the realities of young adulthood and all of the decisions and changes included in that transition. "Strong mother's" should be on the required reading list for mom's of boys 11-13 years old, even if it is to determine that you already knew everything she said. If your son is at the end of senior high, it may still be helpful to see some of what makes our young man "tick" if it still eludes you. Absolutely love this book, strongly recommend! 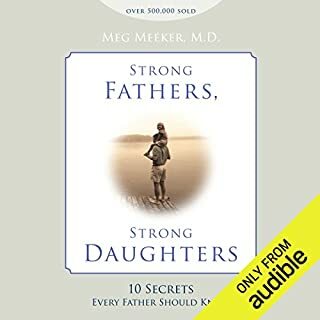 All Meg's parenting publications are a breeze to read or listen through, and her perspective on parenting and explanation of ins and outs of being a successful parent and raising highly functioning adults is beyond amazing. Read it, you'll know what I mean. Everything you need to know as the mother of a boy!! She covers things I hadn't even thought about and I was almost in tears at the end, thinking of the day I need to say goodbye to my little boy. I'm sure I will reference this book a lot over the years. Mother of two boys, but not her audience. I love reading parenting books. As a single mother, I know I can always do better. This book is very clearly directed towards an older generation or more conventional parents. The information is very basic. I think you should make your book open to all mothers and sons, not just the ones with "the pink, squirming flesh entering our arms" as stated in your first chapter. Although it seems to be an insightful book and I still may read it, hearing that at the very beginning of your book negatively affected me. Mothers of beautiful brown babies also experience the same or similar trials of motherhood. Essential Information, For BOYMOMS of all ages! Cannot recommend more, if you have a son- you must read/listen to this! It absolutely changed my mindset and made me a better mom. it was very long, but had so much great information. I highly recommend any mom raising boys read this! I loved this but needed it also 35 years ago . However I learned so much about boys from the book. It is helping me with my grandsons and I feel a better understanding of my husband . The only criticism is the voice used to record it became very boorish . Hard to listen to .... but I did . Thanks I have recommended it to several people. I was very plesantly surprised to find a lot of answers to my worries an learn the situations me and my son were not so uncommon. I wish I found this advices many years earlier.